This Chocolaty Vase is an ideal gift for anyone, be it a man or woman or young or adult. 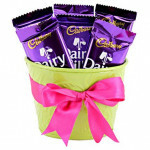 Gift this chocolate hamper on birthdays, anniversaries, or any other day to make someone happy. 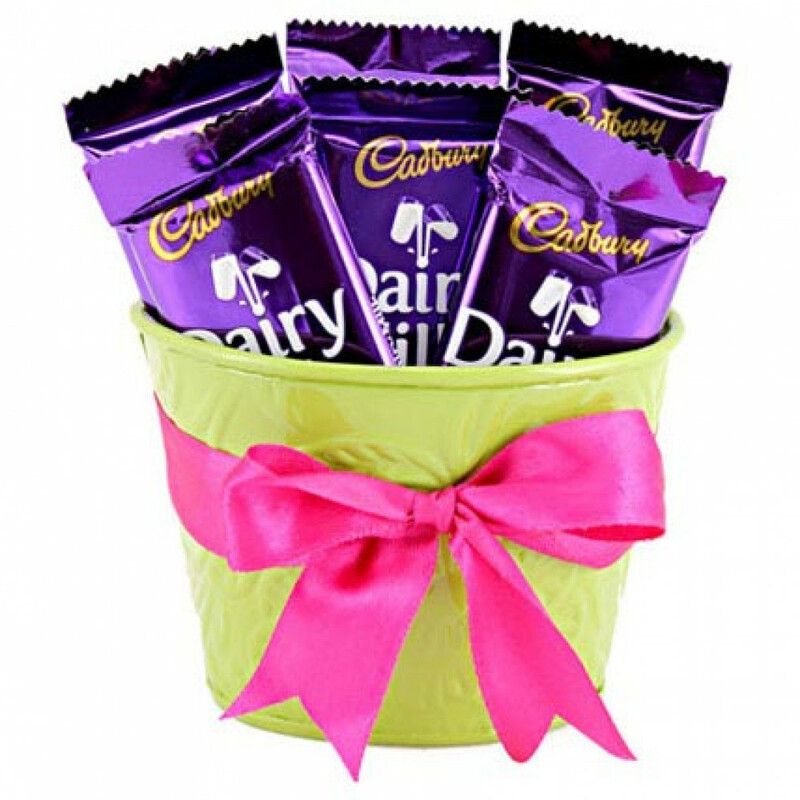 This is a package of a 3 inches Green Tin Vase, decorated with a pink bow, having 6 Dairy Milk of 16.2 grams.